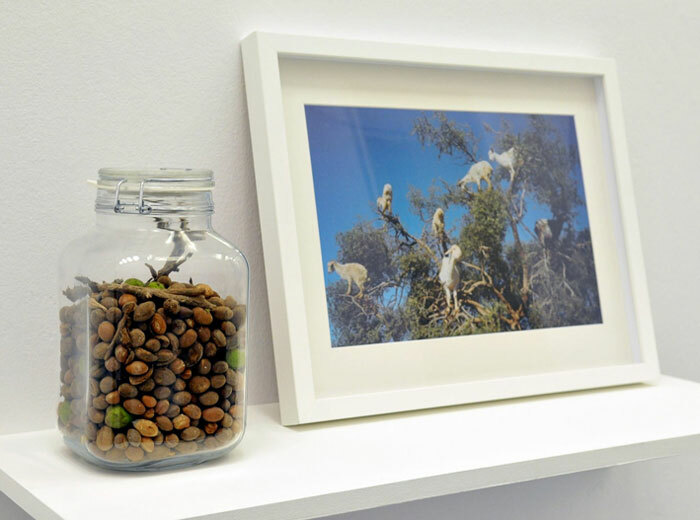 This project refers to the process of extracting argan oil. It is the most expensive oil in the world and produced only in Morocco as argan trees are found nowhere else in the world. For centuries, this oil has been used in medicine and nowadays, it is more and more being used in the cosmetic industry and in food production. The shell of an argan nut is 16 times harder than that of a hazelnut, which makes processing it difficult. 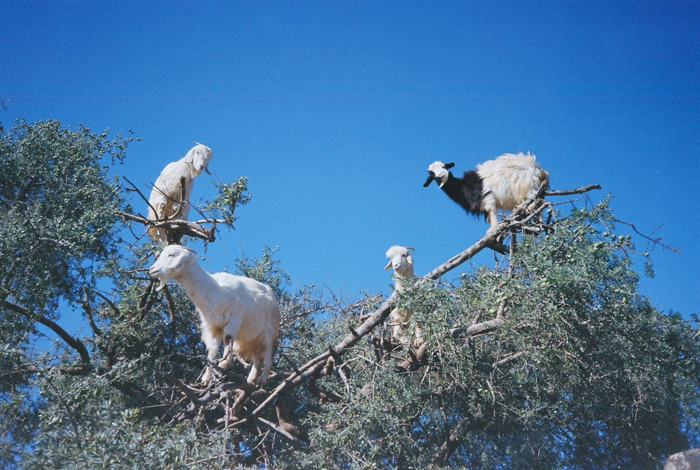 Historically, goats have always been an integral part of this production. 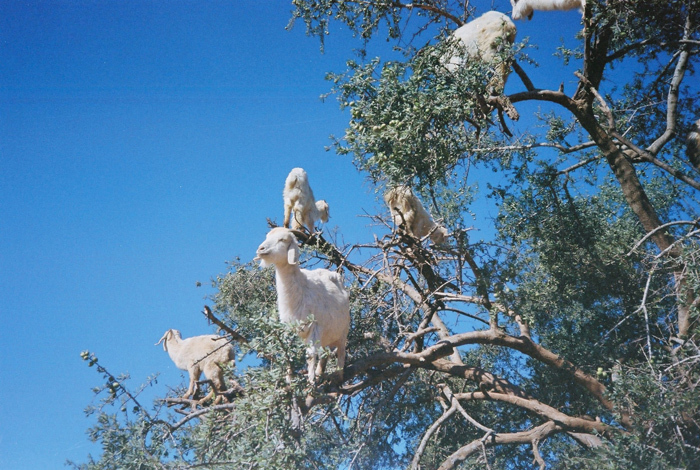 Records dating back to the 13th century talk about Berbers placing goats up on argan trees. 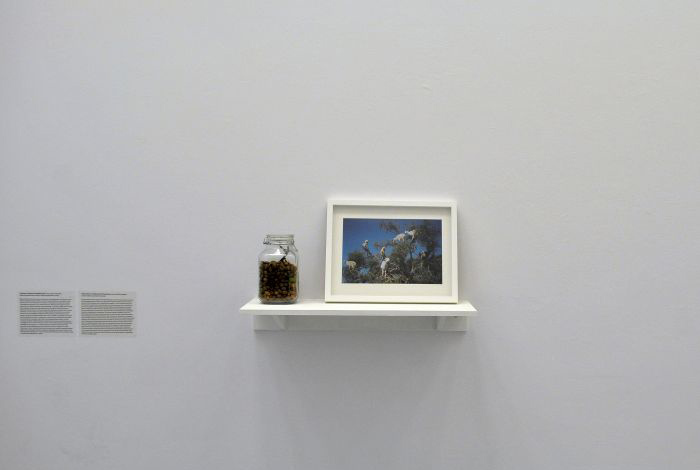 The animals ate the flowers and kernels and the local population then gathered the excrements. The passage through the digestive system and gastric acids softened the nuts and they were easier to crack as a result. This method relieves the local people of a lot of work and effort but the oil extracted in this way has an unpleasant smell. Nowadays, goats are no longer used so often in the process of oil extraction because large companies that further process it don’t want this smelly oil. All attempts to find an industrial way of obtaining the oil have failed because the kernels remain intact. Every single nut still has to be cracked individually. This work is then carried out by women who have organised themselves into cooperatives and they take care that the tradition of manual extraction of argan oil survives and ensures incomes for families in the rural areas and in small towns. 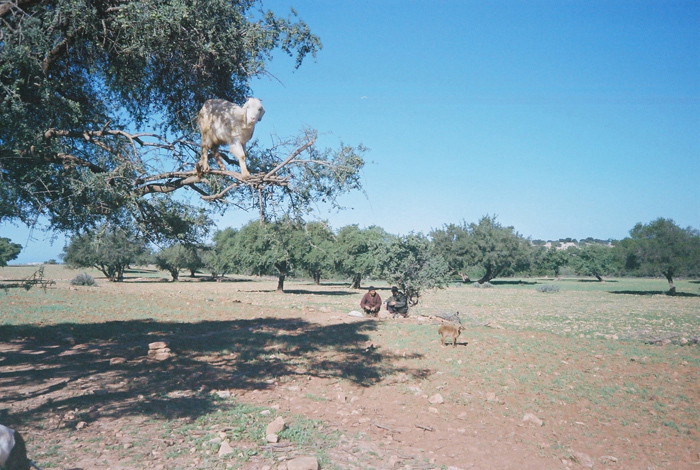 The time and labour-consuming process of extracting the oil and the fact that argan trees are so rare explain why argan oil is the most expensive oil in the world. Here Jermolaewa shows production processes and ways how age-old traditions penetrate through into our globalised world and undergo change.